DENVER (AP) — Nearly 1,000 individual cannabis businesses have been sent cease-and-desist letters or emails by California regulators during an ongoing enforcement process, a first step in a long effort to ensure the state’s industry is fully regulated and operating like those in more mature markets. According to a list obtained by Marijuana Business Daily, as of April 4, the California Bureau of Cannabis Control (BCC) had sent cease-and-desist letters or emails to at least 954 businesses that the agency identified as potentially operating without full legal permission. 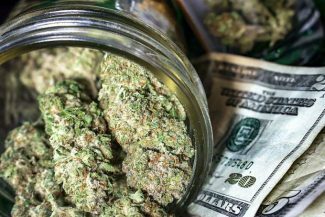 The list provides insight into the locations of many of the marijuana companies that are either flaunting California’s new regulated market or simply having a difficult time obtaining local permits — but a lot remains unknown about the state’s gray- and black-market activity. The vast majority of the cease-and-desist letters — 64 percent of those with some sort of listed address — are in the Los Angeles metro area. The number of letters targeting businesses in L.A. and its surrounding municipalities is 393. The cannabis bureau is responsible for licensing retailers, delivery services, microbusinesses, distributors and testing labs. Retailers, in particular, and delivery services accounted for the bulk of the cease-and-desist letters, according to BCC spokesman Alex Traverso. The cannabis bureau’s list includes 1,245 entries, though 291 of those businesses appear to be duplicates, in part because individual companies received more than one letter. The remaining 954 businesses are either unique entities or part of companies with multiple locations. It’s difficult to ascertain where many of the operators are actually based, since the bureau’s list doesn’t include addresses or even regions for 341 of the companies. —The second-most letters went to cannabis businesses in the Bay Area, with 94 recipients in San Francisco and surrounding towns. —Over 230 businesses in Los Angeles proper were sent cease-and-desist letters, nearly five times more than the number of state-licensed retailers in the city. 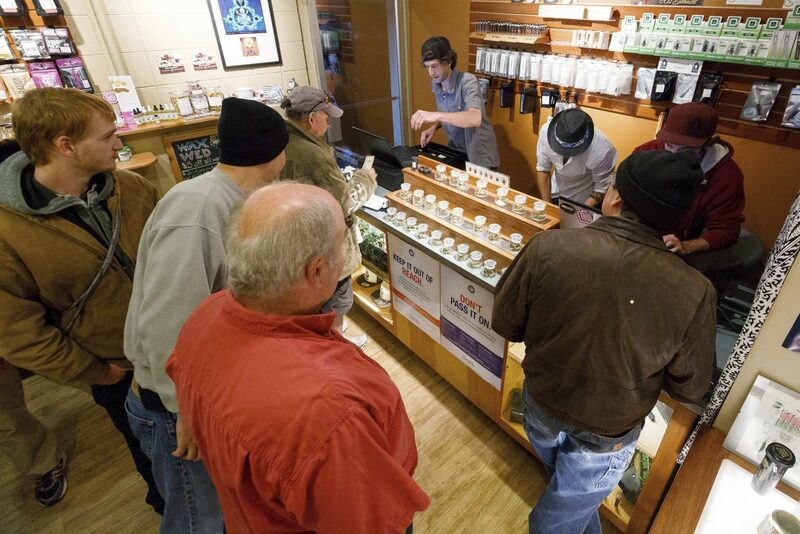 —Dozens of businesses in Anaheim and Costa Mesa — two Orange County cities that prohibit the retail sale of medical and adult-use cannabis — received letters. —At least 16 percent of the letter recipients — or 153 of 954 — are marijuana delivery services, based on an MJBizDaily analysis. However, that percentage could be much higher considering the number of businesses on the list that don’t have an address or region. The letters are having an impact, Traverso said. It’s difficult to determine how much of an effect they’re having, however, because it’s tough to judge how many recipients are interested in taking part in the regulated market and how many are illicit operators trying to dodge paying taxes and licensing fees. Traverso couldn’t specify how many letter recipients have responded to the bureau or begun the licensing process because of the letter campaign. However, the responses have been “encouraging,” he said. “There’s been a pretty decent amount of activity surrounding the letters,” Traverso said. “Not just the letter, but us following up on the letter to make sure they got the letter and to look at next steps,” he continued. MJBizDaily was able to confirm that of the 954 companies sent letters by the bureau, 76 still have operational websites and 22 others’ websites have been deactivated or taken down. Traverso declined to speculate on what those developments may indicate. But he said more license applications are being submitted. “We’re hopeful that those people are moving in the right direction and getting their ducks in a row and hopefully getting their state license,” he said. 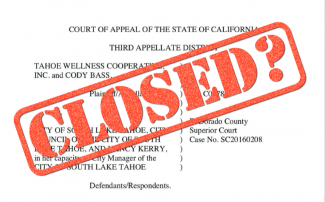 Beyond that, Traverso said, the cannabis bureau has not determined what actions may be forthcoming against companies that don’t comply with the cease-and-desist orders. At least three companies that received several cease-and-desist letters already have obtained temporary business permits from the state, MJBizDaily confirmed, and there could be more. Those three include distributor and retailer Flow Kana and retail chain The Apothecarium, both in San Francisco, as well as San Diego retailer Urbn Leaf. All three have multiple licenses through the BCC. “We received those letters,” Apothecarium owner Ryan Hudson told MJBizDaily, noting that his company got at least one for each of his three locations. “At first, we thought they were a scam, because we have all of our documentation,” Hudson said. “So we emailed and called BCC several times, and we didn’t really get any adequate answers, to be honest. Hudson said he believes it was an honest mistake by the bureau and has moved on, but he said one of his staffers that was in touch with the BCC learned that the agency was receiving similar inquiries from other companies. “I think it was just an administrative error,” he said. Flow Kana also received several cease-and-desist letters, including one in February, according to CEO Michael Steinmetz. “It simply said they thought we were operating without a license and need to cease until we obtained one,” he wrote in an email to MJBizDaily. Steinmetz praised the bureau for its outreach, calling the letters “a reasonable approach to identifying unlicensed businesses. Letters also went to cannabis companies that are actively attempting to get licenses from the state but are having trouble getting the required permits from their local governments. That’s the situation facing Zach Pitts, whose company, L.A.-based Goddess Delivers, appeared on the bureau’s list of letter recipients. Pitts, also the president of the California Cannabis Delivery Alliance, pointed out that many existing companies in the L.A. area are located in municipalities that haven’t been licensing delivery businesses like his or are taking a long time to do so. That’s put Goddess Delivers and other operators in the position of not being able to get a state permit, no matter how hard they may be trying. California law stipulates that marijuana businesses must receive local approval before they will be granted a state license. And that means that such companies’ histories of paying taxes or compliance is practically irrelevant. “It is this issue we’re running up against,” Pitts said, “where there are a lot of people in the process of getting licensed and then there are a lot of people who, through no fault of their own, licensing is just delayed. The situation is frustrating, Pitts said, because he sees participation in California’s regulated market as the smartest long-term play for any cannabis company, and because a lot of businesses receiving cease-and-desist letters are actively trying to be part of the legal industry. 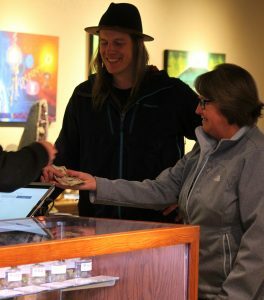 “I’ve spent a lot of time really convincing cannabis businesses we need to get into the regulated market,” he said. “You have two options: Go full black market, or accept the regulations and become an upstanding, tax-paying business.